There are other online stores selling this particular cake stand but I don’t know if their service is reliable. After the first attempt ordering online, I just want to buy directly from a physical store. It’s almost a year since I was searching for a mobile phone to replace the old one I had been using for years. It was still okay but I wanted a phone which can do recordings. At that time, I was going to Czech classes and I wanted to record what the teacher was saying coz 80% of what she was talking about was alien to me. Anyway, I got myself a Nokia and found out 1 week later that I don’t like it. Fortunately a friend of mine bought it from me so it wasn’t a waste at all. Next I was choosing between Sony Ericsson or HTC. 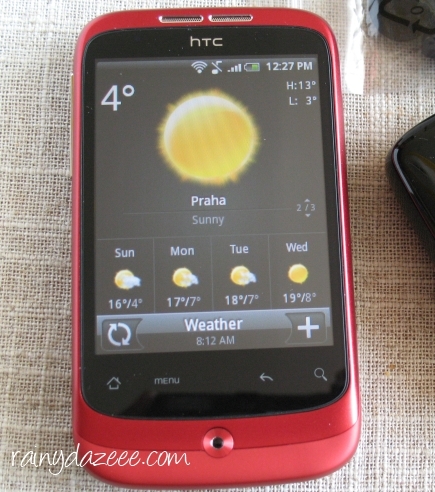 Well, htc desire would have been nice but I ended up buying the htc wildfire coz after all, I just needed a phone with wifi, and yes, one that can record. Teehee! The title says for the kids but let me be specific, I actually mean MY KIDS! 1. 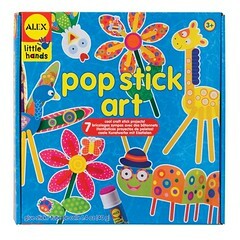 Toys that encourage the kids to be creative. 2. 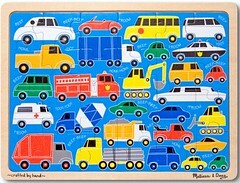 Toys that make them think and learn. 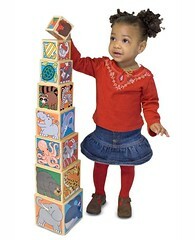 BOOKS, Puzzles, building toys, wooden (alphabet,numbers or animals) blocks, Legos, etc. 3. 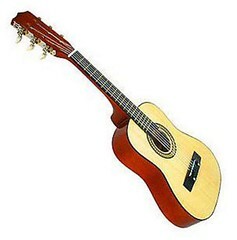 Musical toys. 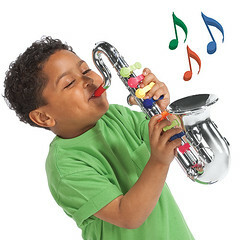 My kids would pretend blowing the trumpet, as influenced by one of the songs from their fave show Veggie Tales. Last Christmas, they mostly got musical instruments but they don’t have xylophone and guitar and yes, trumpet! 4. 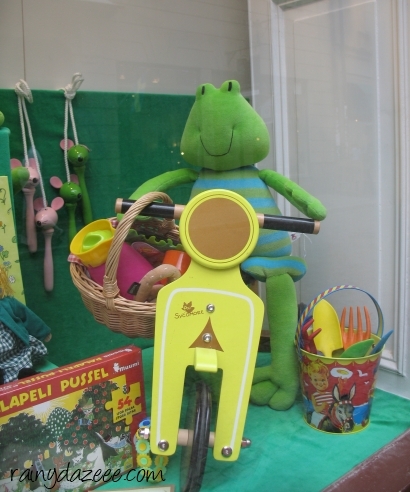 Ride on toys – any kids would love this. 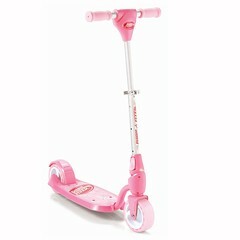 Caity is asking for a scooter. 5. Toys they’ll surely love. Adie is a typical boy. 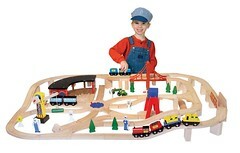 He’s into cars, trains, anything that has wheels. Both kids like dog and they go to sleep with their stuffed dog toys. 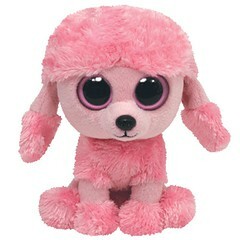 A few weeks back, Caity saw a pink poodle toy that she’s crazy about and a toy rabbit in a cage. She’d be the happiest girl if she’d get it on Christmas. 7. Passes for zoos, museums, kiddie shows, etc. I know one little girl who was given an annual family pass to the zoo by her grandparents. They got to see the animals often especially during summer. A very smart gift to give to a kid. 8. GIFT OF TIME. The best! It surpasses all the gifts mentioned above. That’s it! 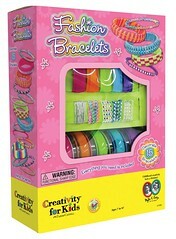 I hope it helps you decide what gifts for kids you’d buy. Happy shopping! 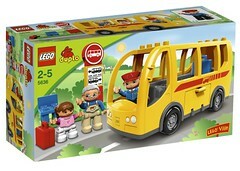 We’ve been going places mostly the past weekends, and ignored some important things that we need to do, like shopping! Hahaha Well, it does sound interesting but actually we needed to replace Adie’s car seat as the boy is getting bigger, and another top priority on our shopping list is a stroller. We actually have 3 strollers crowding our small storage space, but out of these 3, none was suitable for that everyday trip to and from school – two were falling apart and one was too huge and heavy for me. We were fortunate to have scored a discounted car seat (50%) on our first stop. What a steal! And I also found other treasures for the kids, shoes with big discounts! The stroller was a different story though. It cost a little more than I expected we’ll spend for a stroller, but oh well, sometimes you have to pay more for comfort and quality. 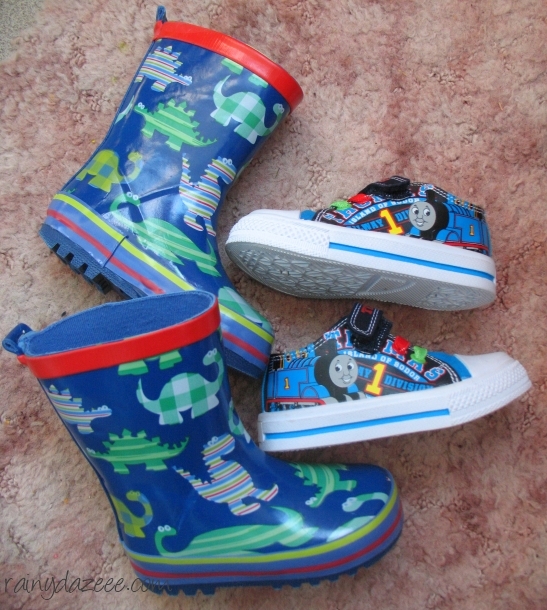 A pair of dinosaur wellies (still a bit big), and Thomas the train shoes for Adie. 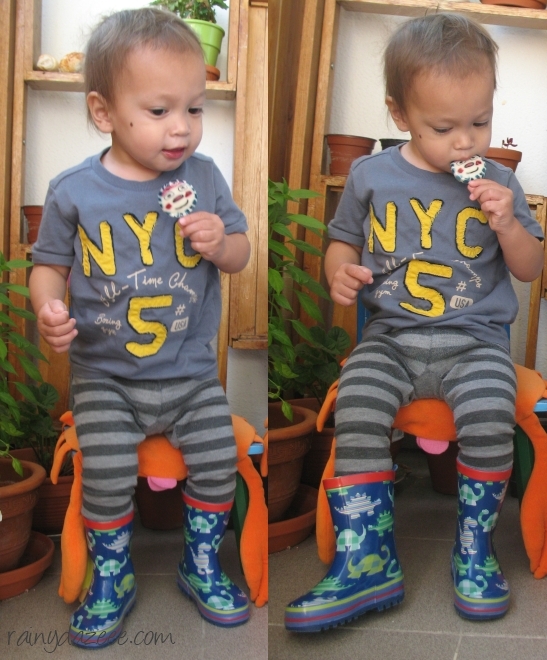 The wellies were about $5! Thomas the train were less $10. A pink crocheted print tennis shoes for Caity. A nice find coz I was really planning to buy her a new pair with velcro straps coz her Peppa Pig tennis shoes are difficult for her to tie on her own. July 28th, 2011I love Scandinavian design! I’ve been feeling lazy about blogging since we got back from vacation. I am still relishing all the fun, interesting and beautiful memories and things I experienced and saw during our trip to Finland and Sweden. Aside from being busy washing load after load of bedding and clothes, I have been rearranging cupboards and shelves inspired by the simple, minimalist, bright and functional arts/design of these two countries. So far I am satisfied with the results, but I am in for a challenge how to get all of these done in a short time. One shelf takes a day coz of my other duties at home. 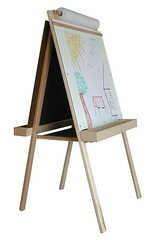 I find myself browsing on websites about Scandinavian designs lately. My interest have shifted from fashion to interiors hehe. But I also actually fell in love with Swedish street style. ahhhhh! And I still visit my favorite fashion blogs time to time just to see what’s the latest. One recent finds is that coogi clothing is slashing their prices big time! That’s an amazing sale happening right there, better load up your man’s wardrobe while its cheap. 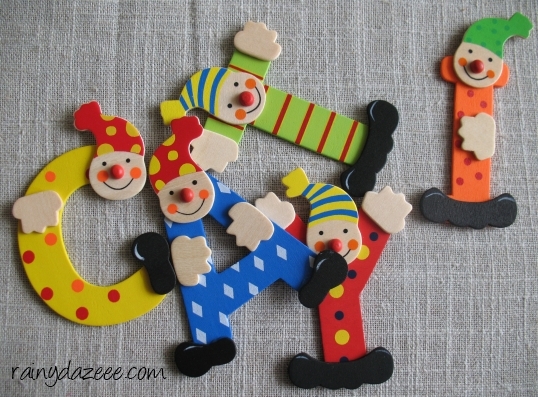 Anyway, I found some cute clown alphabets sold at a toy store named Krabat in Stockholm. I thought it would make a nice door sign in the kids’ bedroom doors spelling out their names. There were sooooo many pretty things inside the store – doll houses, plush toys, children’s clothing, costume, cars, kids’ party stuff, wooden toys and a lot, lot more! We were actually on our way back to the hotel coz Caity fell asleep on her dad’s shoulder while we were touring the Gamla Stan area when we passed by the store. I just had to get inside when I saw their pretty window display. But we were in a rush, so I had little time to scan over their stuff. 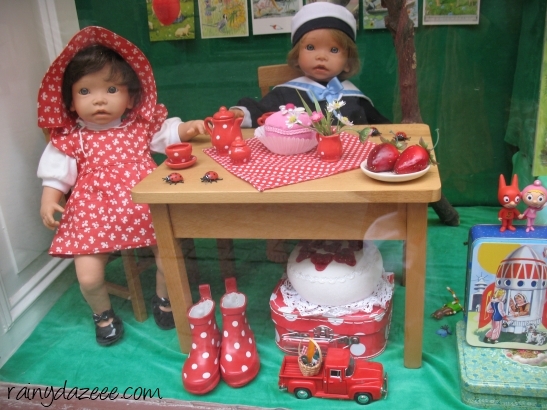 I managed to take a quick shot of their display window before leaving… so cute! 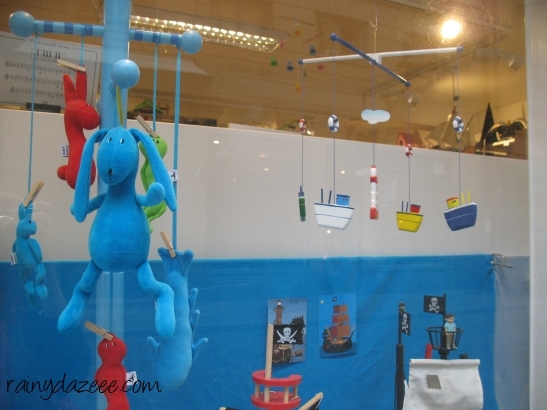 boat mobile – I like!! !